ATHENS, Ga. – Georgia’s football team had four players earn Coaches All-Southeastern Conference team honors, according to a league announcement on Tuesday. Freshman tailback Nick Chubb complemented his Associated Press All-SEC First Team selection on Monday with another First Team pick on the Coaches All-SEC squad. He was also named the AP SEC Freshman of the Year. Senior inside linebackers Ramik Wilson and Amarlo Herrera along with senior cornerback Damian Swann were named to the Coaches All-SEC Second Team defense. 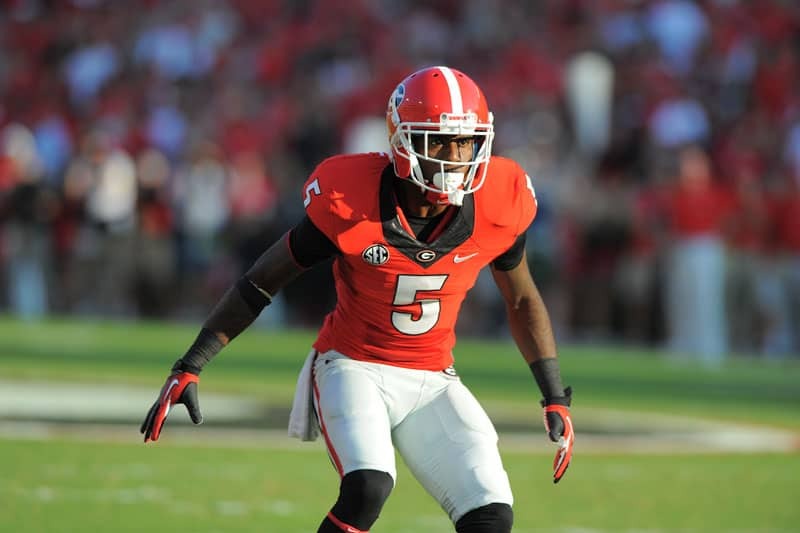 Wilson, a native of Tampa, Fla., is second on Georgia’s squad and seventh in the SEC (8.5 tackles/game) with 102 tackles in 2014, including six stops for a loss. He also has forced a fumble and recovered a fumble for a Bulldog defense that has posted a pair of shutouts this season. Wilson led the league in tackles last year with 133 and has now started 24 out of the last 25 games for Georgia. Herrera, a native of Atlanta, is the team leader with 112 stops (9.3/game) in 2014, which ranks him third in the SEC. Finishing with 112 last year to have the conference’s third-most tackles, Herrera has a team-leading 10 tackles for loss this year, including three sacks, an interception, a forced fumble and a fumble recovery. He has started a team-leading 42 games in his career and is 10th on the school’s all-time list with 331 tackles. Swann, also a native of Atlanta, is leading the SEC with four forced fumbles and has posted a season-high 62 tackles, including 4.5 tackles for loss. In addition, he has three interceptions this season and has recovered a fumble. Swann’s fumble recovery turned into a record-breaking 99-yard return for a touchdown versus 15th-ranked Georgia Tech. The SEC individual awards will be announced on Wednesday and the Freshman All-SEC Team will be released on Thursday.